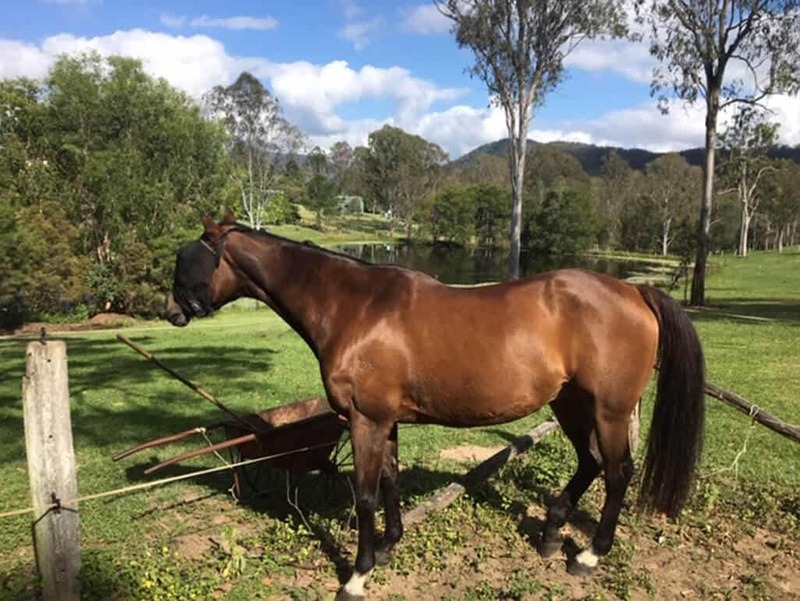 Liz Healy from Samford in Qld contacted me in September last year for help with her beloved Thoroughbred mare Elle who was suffering badly from inflammatory airway disease. For the previous six years Elle and Liz had completed many heavy duty trail rides and Elle was a picture of health, at the age of 19. After a fortnight of veterinary treatment Elle developed a bad bout of pneumonia and all IAD drugs were stopped while she was treated with antibiotic drugs. With special vet care she recovered from the pneumonia and was then treated with two steroidal puffers for 2 months but a second BAL test didn’t show much improvement. This was when Liz contacted me to see if prescribed herbal medicines could help Elle who was very low in energy, very dull in the coat, and having difficulty breathing. 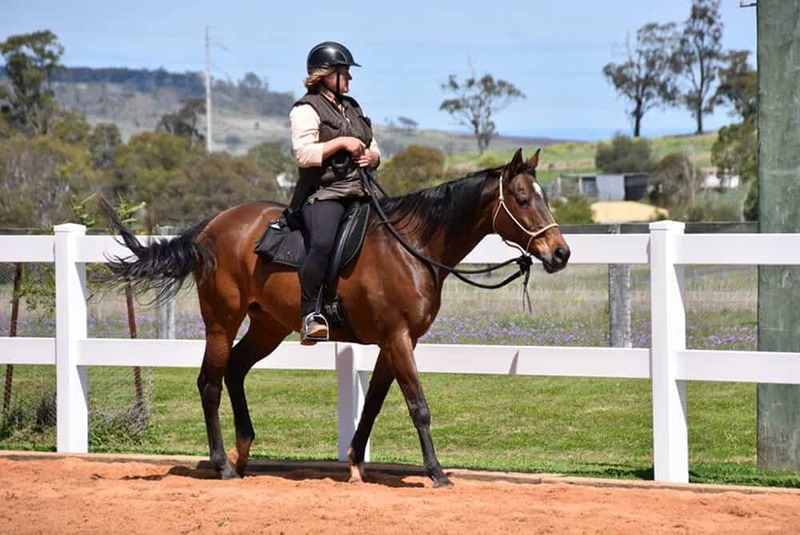 And as Liz commented Elle was sad and quiet, not her usual alert, spirited self, and had not been able to be ridden for 4 months due to her breathing difficulties. Elle commenced her course of herbal prescriptions early October and Liz reported that she appeared to like the herbs, no fuss to administer with oral syringing. 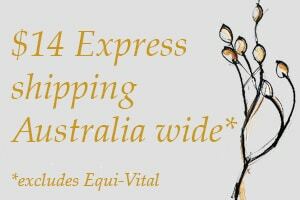 Liz continued with my herbal medicine and natural feed program and reported that Elle was at times brighter and more like her old self interspersed with looking lacklustre at other times. Early in January this year, Elle had completed her 3 month course of herbal medicine and Liz emailed “Her looks and behaviour have improved dramatically. From looking like an old tired horse she now has a shiny coat, is alert and for the first time a few days ago I took her for a ride that was more than a quiet walk. We trotted and cantered and she was very keen, with no sign of coughing nor any apparent difficulties with breathing. The ride was only a few kilometres and on the flat but she responded and performed well. 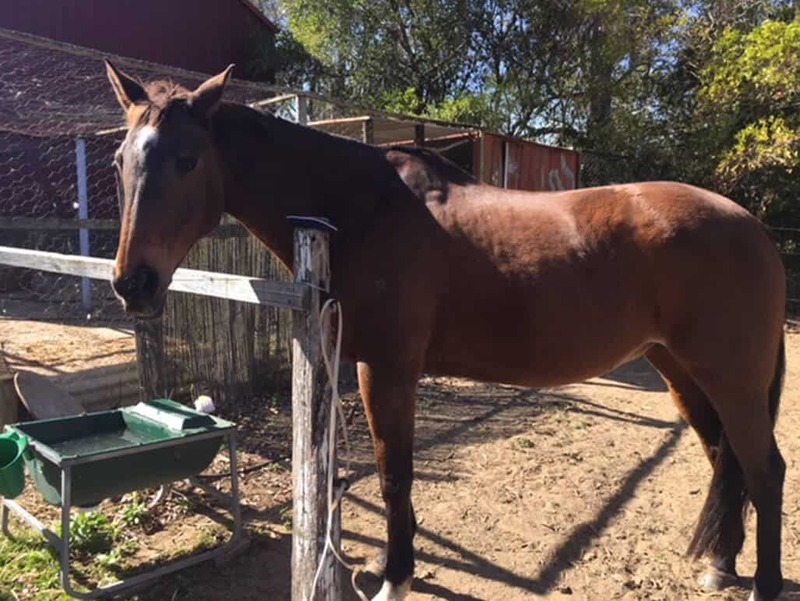 She’s not quite the horse she was a year or so ago but she is 20.” Photo below was taken early January 2019. At this point the vet advised that if Liz wanted to ride her at all she would need to go back on the puffers and that she could relapse at any time and she recommended she be retired. Happily Liz decided to keep Elle on her herbal program and keep her in light work which was physically and emotionally beneficial to both of them. Horses with the wonderful work ethic that Elle has really don’t tolerate being left in the paddock, even if it is a beautiful one like Elle is lucky to have. I must commend Liz for her wonderful care of Elle and her excellent and objective communication with me at all times, the more I know the better I can help, a win win situation for everyone. 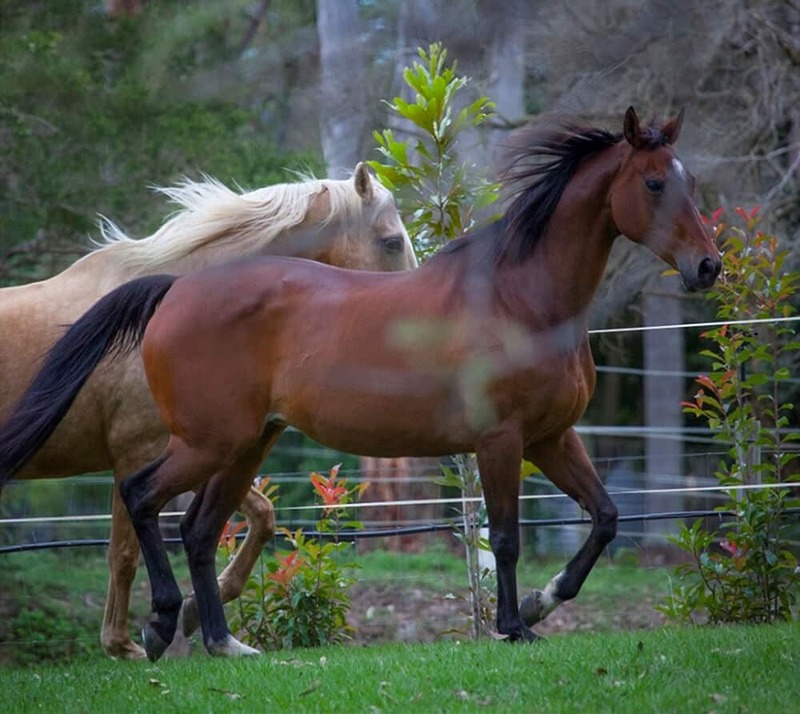 I am now helping David Healy to maintain his Palomino gelding Chey in the best of health and performance as he gets a little older.